Sharp is due another reckoning. The embattled Japanese electronics firm has already received two bank bailouts since 2012. A third, more radical overhaul now looks likely – perhaps via the state-backed Innovation Network Corp of Japan. If credit markets are right, there should be little value left for shareholders. Sharp’s most recent quarterly results, published on Oct. 30, underlined the group’s continuing challenges, especially in its core liquid crystal display business, which makes screens for smartphones, tablets and televisions. Overall operating profit crashed 86 percent to 3.5 billion yen ($28 million). Cash reserves have shrunk by 82 billion yen in six months. The INCJ, which nurtures Japan’s technology sector, is lurking. 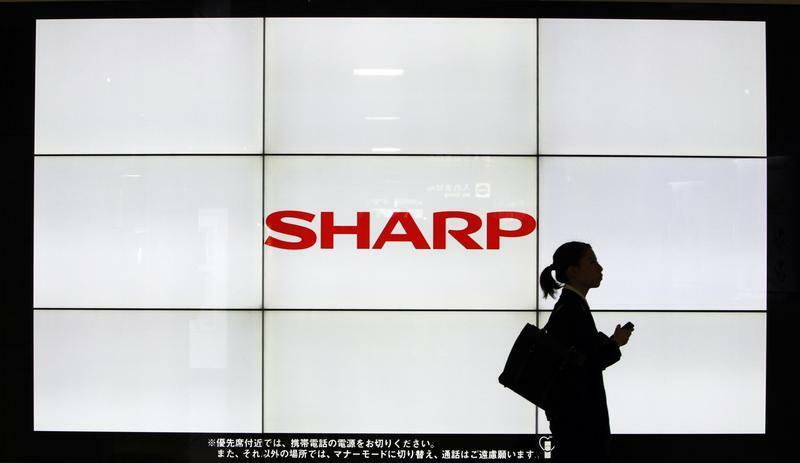 Reuters says it has asked Sharp’s main lenders, Bank of Tokyo-Mitsubishi UFJ and Mizuho Bank, to forgive some debt, and has been mulling investing in the LCD business, which could be combined with listed affiliate Japan Display. Or an even wider deal could emerge: on Dec. 2 the Yomiuri newspaper said the INCJ was considering taking a majority stake in Sharp for 200 billion yen or so. The fund could push out Chief Executive and President Kozo Takahashi, the paper said, adding an outline agreement could be struck before the company’s fiscal year-end in March. Sharp’s battered stock perked up 6 percent, to 133 yen a share, lifting its market value to 226 billion yen. That’s peanuts for a group that was worth thirteen times more at the end of the last millennium. But it’s still perplexing that investors think the equity has any value. Earlier this month Standard & Poor’s slashed its rating on the group to a deeply junky CCC-plus and warned of a likely restructuring within six to 12 months. As of Dec. 2, credit default swaps were bid at 39.9 percent of the face value of Sharp’s bonds – a sign of deep distress. Both indicators suggests Sharp’s creditors are unlikely to get back all of the net 584 billion yen they were owed as of September. It’s possible the Japanese government will help engineer a solution for what is still deemed a large and important company. But it would be odd if the pain fell disproportionately on creditors, taxpayers and employees rather than on Sharp stockholders. Stated-backed fund Innovation Network Corporation of Japan (INCJ) is considering buying a majority stake in Sharp Corp for an estimated 200 billion yen ($1.63 billion) as part of its restructuring, the Yomiuri newspaper reported on Dec. 2. Sharp may agree to the purchase after spinning off its loss-making liquid crystal display (LCD) business, the newspaper said. A basic agreement over the aid plan could be reached during the current fiscal year ending in March, it added. The report sent shares in Sharp as much as 11 percent higher in early trade on Dec. 2. They stood 5.6 percent higher at 133 yen by 10.35am in Tokyo (0135 GMT). Asked about the newspaper report, a Sharp spokesman told Reuters the company was considering various options for its LCD business and that it was in talks with multiple parties. An INCJ spokeswoman declined to comment.